After years of regular use your floors can grow thin and faded with years of regular use. Daily foot traffic can leave your hardwood, carpeting, or linoleum looking the worse for wear. Visit our store to peruse our collections and discover how easy it is to upgrade your home with new floors. Visit us when you are ready to shop for stunning new carpet flooring that is available in numerous colors, sizes, and styles. Whether you are tired of living with work floors or simply ready for a change of style, our showroom stocks a vast selection of quality carpets in many styles and textures. From statement carpeting to classic styles, our friendly team can help you find it. We are committed to matching you with the finest carpeting available. Reach out to start exploring your options in the context of your budget, and also take advantage of carpet flooring installation with our professional installation crew. Widely regarded as the most comfortable flooring option of all, carpeting is a great option for all kinds of families and all types of rooms. Carpet floors are particularly popular with parents, as soft carpeting provides the perfect surface for energetic children prone to slips and falls. Of course, you don't have to be a parent to enjoy the softness that only carpet flooring can provide. Whether you are searching for a new covering for your bedroom, living room, or even your sunroom, our showroom carries carpets designed for every space in your home. Carpeting is ideal for areas that are friendly and casual - spaces where you go to entertain or relax. Add these floors wherever you need comfort the most; our products are guaranteed to protect your family's feet at all times. Though carpeting is generally known for its comfort, many of our clients choose it when they want to make a statement in their homes. Manufacturers create many kinds of carpet flooring featuring one-of-a-kind patterns and premium textures. Our flooring specialists are always more than happy to help you browse through the selection at our showroom and assist you in choosing carpet that suits your style preferences. Different carpet materials offer different benefits. Depending on the texture you want, some types of carpets may be better suited for your home than others. 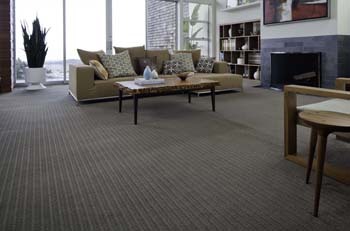 Many of the carpet products our showroom carries are made with yarn fibers, including wool, polyester, and cotton. Be sure to let our specialists know which material you prefer as you begin shopping for new carpeting. Every home is different - just like every homeowner. That's why our flooring shop carries a diverse selection of carpet flooring options suitable for every kind of interior. Whether you're searching for a bold color or a specialty fiber, you're sure to find what you're looking for at our showroom. If you're uncertain which of our carpet products is right for your home, simply schedule an in-home consultation with our specialists. During an in-home visit, we will help you learn more about non-negotiable carpeting details, as well as make helpful suggestions as you consider various materials in the context of your budget. Once you've settled on the carpeting you want for your home, trust our trained and certified carpet flooring installation team to perform your install. The proper installation of your carpets is just as important as the quality of the carpet you purchase. Professional equipment and the proper tools are essential to ensure the floors last long and stay attractive. Protect your investment with our help and take advantage of some of the industry’s best guarantees in the process. 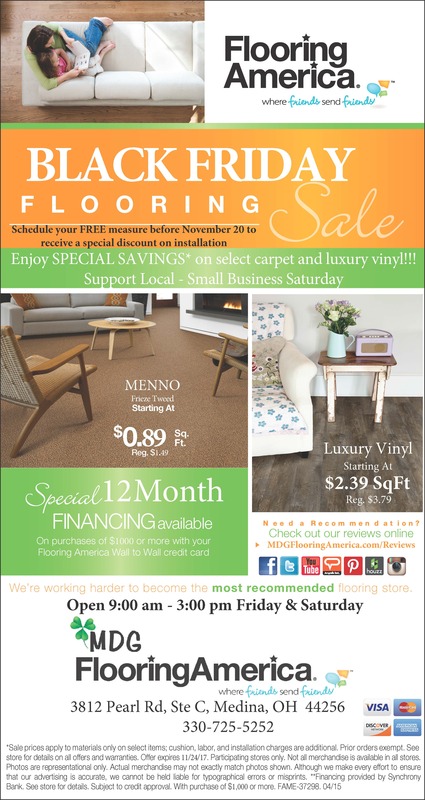 Contact our flooring store to learn more about luxurious carpet flooring. We proudly serve the communities of Medina, Brunswick, Strongsville, Hinckley, and North Royalton, Ohio.